Small deciduous tree with white blooms in spring and red berries in the fall. Vigorous grower. The blooms are a deep red. 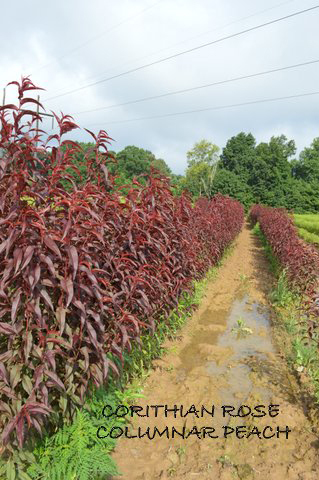 The new growth is burgundy red, turning green with age. Red berries in the fall. Selected from the Spring Grove cemetery of Cincinnati, Ohio, this cultivar has a very showy display of 5” diameter flowers that are heavy on the plant. It is cold hardy. 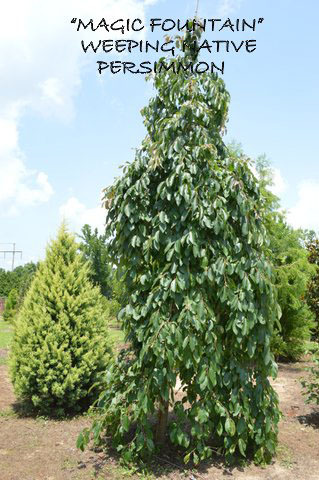 This variegated kousa has prominent white margined leaves on a compact spreading plant. Outstanding fall color and had white blooms. This kousa is a nice grower. Uniform and vigorous with attractive light pink blooms. 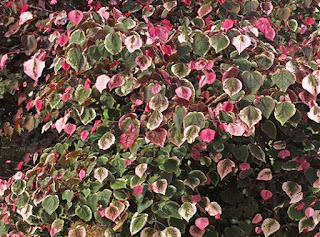 A columnar growing peach with purplish – red foliage and bright pink blooms. A weeping form with purplish – red foliage and pink blooms. 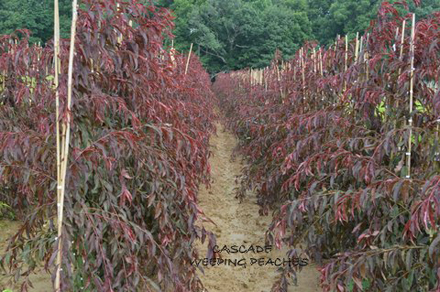 A compact dwarf green-leaf patio peach with bright red blooms. This eastern redbud cultivar has purple leaves. In the early spring it will have rose colored blooms. 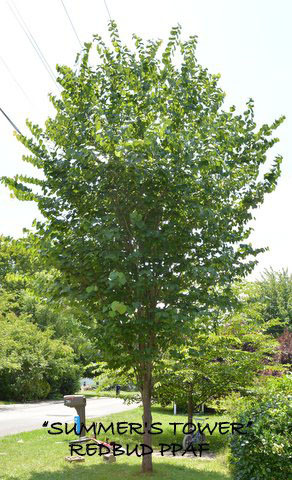 This eastern redbud cultivar has green leaves, however, it has stunning red blooms in the spring. 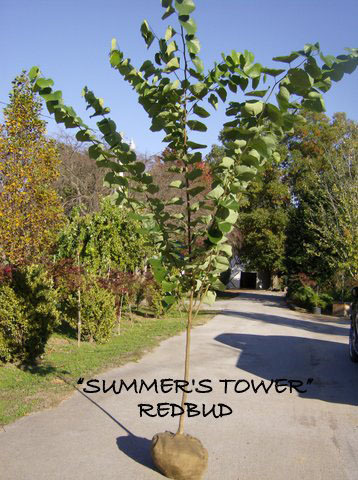 A non-seeding compact redbud that came from the National Arboretum. 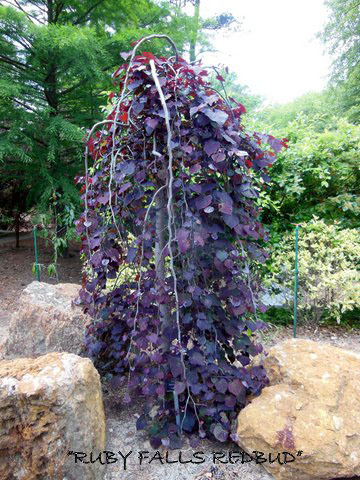 A unique , weeping form of redbud. The foliage is purple and the blooms are dark rose colored in spring. This is a desirable and attractive landscape plan. 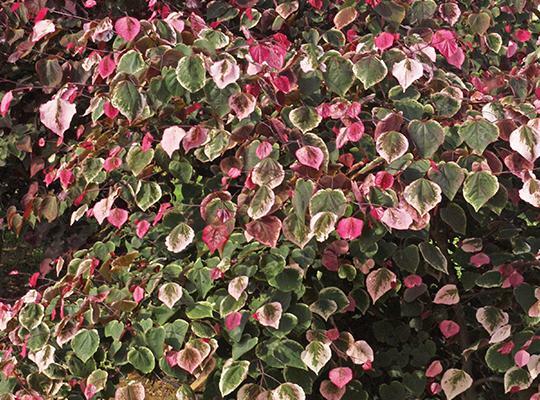 This redbud puts on a show with an abundance of dark pink blooms in the spring, then puts on leaves that are light green with splashes of white variegated and hints of coppery-pink. Ornamental tree that bears a stunning display of bright rosy-pink flowers in the spring and then put out heart-shaped leaves. 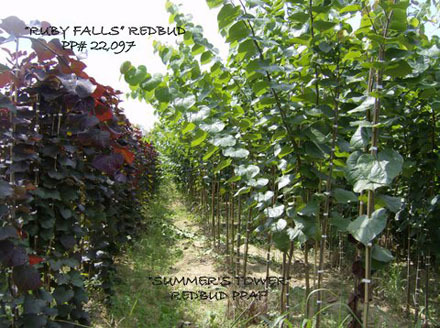 This cercis Canadensis (redbud) is a very vigorous grower. It has grown from 12’ – 14’ in one year, some with 1 ½” caliper. It grows with a vase shaped head. The blooms are typical to the species. An absolute ‘tree of the future’, since spaces for trees are getting smaller! STARTS OUT WITH PINK BLOOMS IN SPRING. THEN THE NEW LEAVES EMERGE PURPLE, THEN SHADES OF WHITE, GREEN AND HOT PINK APPEAR. EVENTUALLY TURNING GREEN IN THE SUMMER. 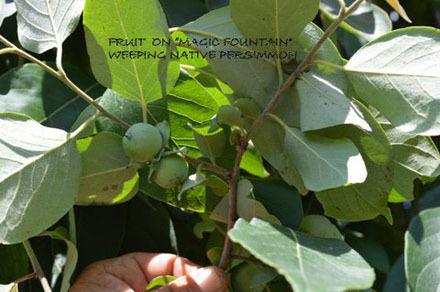 2014 SNA "RETAILERS CHOICE AWARD"
This extraordinary form of our native persimmon is extremely weeping. It also bears fruit. 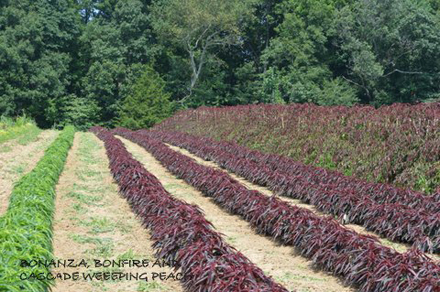 It has beautiful foliage in the summer and is hardy to zone 5.